After sitting on two commercial bids for over two years, the Indian MoD today formally decided it would move forward with the stalled Multirole Helicopter (MRH) competition that looks to acquire 16 advanced multirole helicopters for the Indian Navy to augment and then replace its Westland & Sikorsky Sea Kings. Unless things exit the window the way they have so many times in the past, this one looks like a sitter for Sikorsky. It's been an ill-tempered competition, with allegations and counter-allegations flying through much of 2011-12, mostly by NHIndustries against Sikorsky. And as we know so well, few things slow already lumbering procurement processes to a dead crawl like allegations of favouritism or partiality. 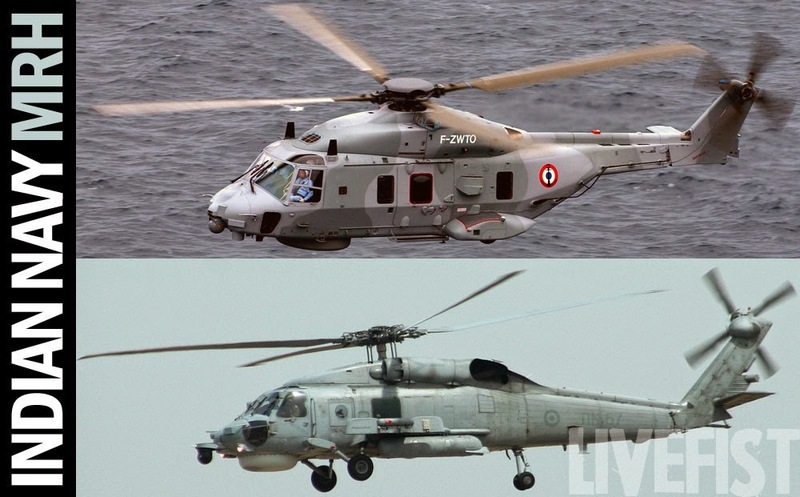 The MoD's decision today to move forward and open bids from Sikorsky for the S-70B Sea Hawk and NHIndustries for the NH90 is excellent news for the navy that's increasingly hamstrung for capable rotorcraft it can send out to sea. It also paves the way for the larger IMRH programme that looks to procure a much larger number of similar helicopters, a competition that Lockheed-Martin has eyed closely with the MH-60 Romeo.